Over the past 20 years overseas travel has changed dramatically. In 2017, 72.8 million visits were made overseas by UK residents, compared with 29.1 million in 1997 (Office for National Statistics (ONS) 2018). Holidays, business and visiting friends and family are all reasons for flying abroad. Regardless of the purpose, travel health is essential. Despite the information available on travel health, people are often still confused as to what is best for them. 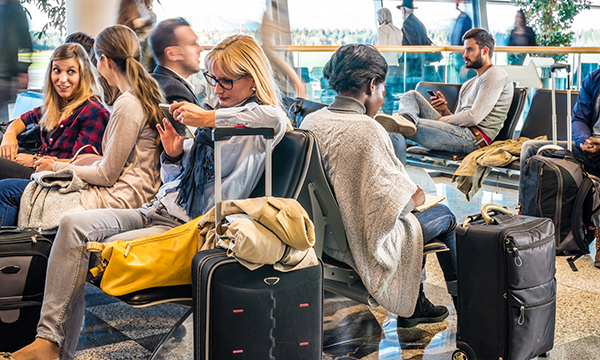 Jane Chiodini, travel health specialist nurse, and newly-appointed dean of the faculty of travel medicine at the Royal College of Physicians and Surgeons of Glasgow suggests that people are not fully aware about what travel health covers. Ms Chiodini says: ‘Patients perceive they can book a last-minute appointment, which is never the case, in terms of protection and advice needed. ‘People don't appreciate the risk assessment that needs to be performed prior to deciding which vaccines and malaria chemoprophylaxis may be advised. Self-education and a greater understanding from patients about the time constraints that general practices face with their appointment slots is one-way patients’ perceptions can change, says Ms Chiodini. ‘There are so many ways you can book a trip abroad these days, and health messages are not always uppermost in the detail when booking travel adventures,’ says Ms Chiodini. Aware of the pressures that general practices are under, Ms Chiodini realises that travel health may not be a ‘key priority’ in the ‘greater scheme of healthcare’. ‘But vaccines given to protect against hepatitis A, cholera, polio and typhoid are currently an NHS provision to prevent disease in returning travellers. If they were to contract any of these, there could be a public health risk,’ she explains. Ebola and Zika virus are two high profile outbreaks in recent years, and while Ebola may have mainly affected those supporting the work, pre-travel advice is still important for nurses and other healthcare professionals to offer, says Ms Chiodini. The UK population’s travel needs has changed significantly since Ms Chiodini completed her travel medicine training in 1998. With more people moving to the UK, there are a greater number of people visiting friends and family overseas. In 2017, 17.6 million visits were made overseas to visit friends and family from the UK (ONS 2018). There were 1,792 cases of malaria reported in travellers returning to the UK in 2017 (GOV 2018). Of these, where the purpose of travel was known, 814 were returning from visiting family in their country of origin (GOV 2018). ‘Malaria is preventable and curable, so this situation is unacceptable’ says Ms Chiodini. ‘The largest group of travellers returning to the UK with malaria are those who went mostly to West Africa to visit friends and relatives, and most of them live in London. The role of the pharmacy in travel health is a contentious point for Ms Chiodini. Aware that the support of the pharmacy is an opportunity to embrace, she highlights that ‘there is no regulation, so anyone can set up a travel clinic’. However, she says ‘a pharmacist, if well trained, can provide a travel health service exceedingly well. Indeed, many of our Faculty of Travel Medicine community are pharmacists who have undergone training up to membership level’. 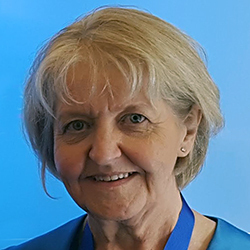 The first woman, nurse and full-time travel medicine practitioner to take on the role of dean of the faculty of travel medicine at the Royal College of Physicians and Surgeons of Glasgow, what are Ms Chiodini’s plans for the college? ‘I hope to push the barriers forward in this field to make the faculty of travel medicine the ‘go to’ place for recognition of excellence, and standards of best practice. ‘The mission in my first year of the three-year tenure will be to republish our recommendations, which were published in 2012. ‘We are about to launch an important new e-learning module about female genital mutilation (FGM). It is illegal to take a child under 18 years abroad for the purpose of FGM and the travel consultation could identify this situation and prevent it from happening. As for the future of travel health there is a chance it could look different to the landscape it sits in now. GPs in Scotland have voted to remove travel health from surgeries. A vaccine transformation programme is underway to establish how travel health services can be delivered differently by 2021. But, Ms Chiodini says 'there’s a lot of work to be done to overcome the challenges this could present'. ‘In England, we await a review by Public Health England to assess the impact on public health if travel vaccines were removed entirely as an NHS provision. 1. Read the RCN publication: Royal College of Nursing (2018) Competencies: travel health nursing: career and competence development. This outlines the principles of pre-travel risk assessment, helps expand your knowledge and provides a competency framework to ensure you practice to the highest standard. 2. Ensure you always undertake a travel risk assessment and follow the professional advice from the national websites, for example NaTHNaC and TRAVAX. These databases will help you follow guidance on recent disease outbreaks and changes in national guidance. 4. Try to allocate sufficient time for your consultation. Travel risk assessment is complex, no two travellers will be the same and it takes time to perform. The RCN guideline recommends 20 minutes minimum per patient, but more complex travellers will require longer. 5. If you go on face to face training, check out the travel health experience of the trainer. Why can't drug names be easy to pronounce?